A month ago I blogged an extended version of a chapter I was invited to write for an edited collection by the Political Studies Association. That collection is now out. 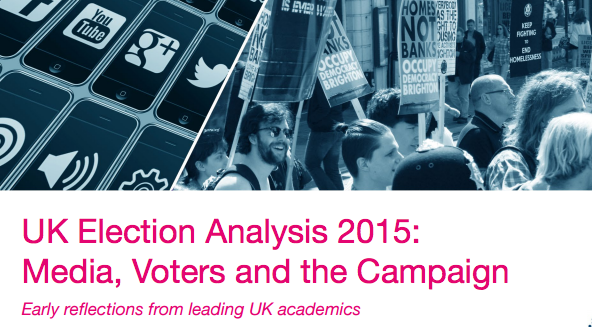 It features over 70 contributions on everything from the role of social media in the election (including specific focuses on gender and UKIP) and media influence to analysis of reporting and, of course, those polls. The book is available as a free PDF and a website. This entry was posted in online journalism and tagged book, elections, social media on June 15, 2015 by Paul Bradshaw.